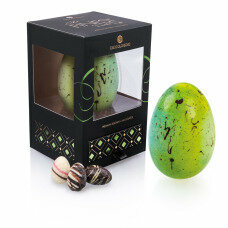 At CHOCOLISSIMO we offer you a wide range of beautiful and delicious Easter eggs, in original and elegant packaging. The all new taste sensation, Ruby Experience. Flavour and colour are derived from the Ruby Cocoa bean. 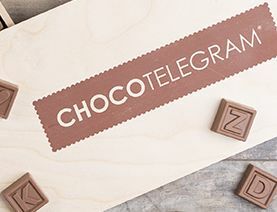 Discover our chocolate suggestion for your wedding, to offer to the guests or the couple. A nice way to express your thanks to the families. Luxurious idea for those looking for an exquisite and original gift. Phenomenal pink chocolate - Ruby, with a unique slightly sweet and at the same time slightly sour taste, presented with unique additives, in this bar raspberries and packed in a stylish box. The perfect gift for people who are looking for new taste sensations. No colorants or fruit flavors are added. 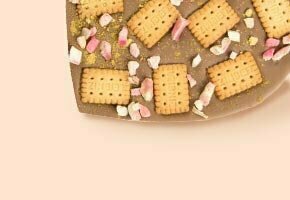 Phenomenal pink chocolate - Ruby, with a unique slightly sweet and at the same time slightly sour taste, presented with unique additives, in this bar gold flakes and packed in a stylish box. 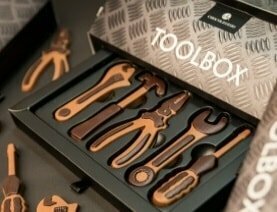 The perfect gift for people who are looking for new taste sensations. No colorants or fruit flavors are added. Phenomenal pink chocolate - Ruby, with a unique slightly sweet and at the same time slightly sour taste, presented with unique additives, in this bar pistachios and packed in a stylish box. The perfect gift for people who are looking for new taste sensations. No colorants or fruit flavors are added. 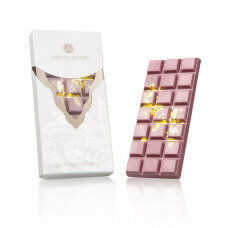 A delicious new taste sensation with the real Ruby chocolate. No added colours or fruit flavors. 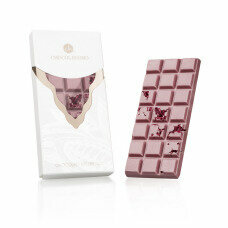 This Ruby chocolate heart is decorated with dried rhubarb and little hearts of sugar. 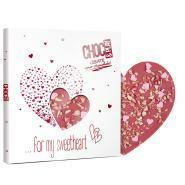 Packed in a Valentine Choc&Play box with a heart shaped window. 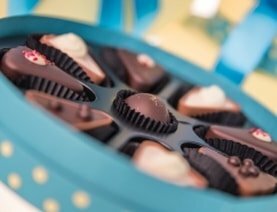 Chocolate workshops are great idea for an unique meeting, presentation or a "chocolate integration" for your team. 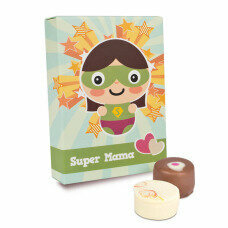 Delicious chocolate letters, made of the best Belgian chocolate, the word MAMA. The letters M are decorated with dried strawberries, de first letter A with coconut, the second A with almonds. Packed in a wood box that can be engraved. 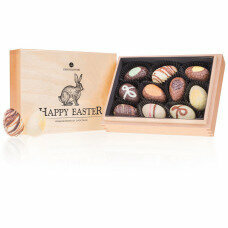 A set of 6 delicious handmade pralines, packed in a box specially design for all mothers. "I love you Mum", the sweetest thing you can say to your mother. Or give it to her, in chocolate letters made of the best milk chocolate. The letters I and M are decorated with dried strawberries, the heart and U with roasted almonds. 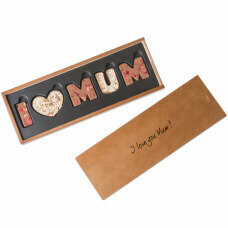 The letters are packed in a wooden box with an I love you Mum engraving, on which you can put your own engraving. The ideal gift. 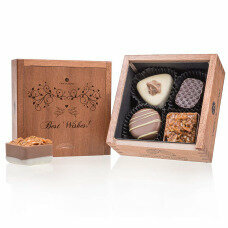 An exclusive wooden box filled with 4 delicious handmade pralines. The lid has an engraving with a subtle floral pattern, pigeons and the text "Best Wishes". 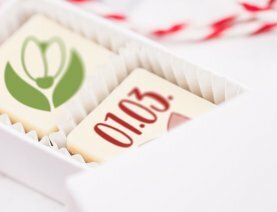 An ideal gift for a wedding, an anniversary or any other occasion where you want to give sweet wishes. 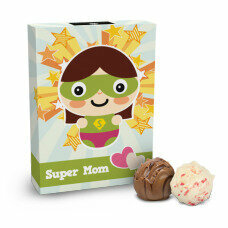 Specially for all mothers, 6 handmade pralines, packed in a funny box, which reminds her that she's a super hero every day. An ideal gift for Mother's Day. 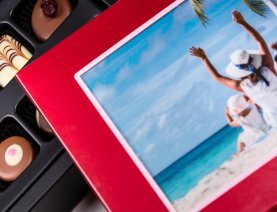 At Chocolissimo we pay attention to every detail to always delight your senses. On a daily basis, we aim to become the best online chocolate shop - in every respect! We are committed to continually developing our product range, while maintaining our focus on each of our products individually. 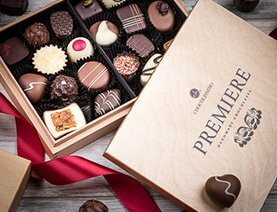 We offer exceptional chocolates handmade by famous French and Belgian masters chocolatiers; chocolate gadgets and figurines - for perfect gifts; chocolate to drink with shapes and flavors that deserve to be explored; chocolate bars with sophisticated tastes - for lovers of good chocolate! All our chocolates are made with 100% cocoa butter for a pure taste and a beautiful appearance. All our ingredients are chosen from the best suppliers. 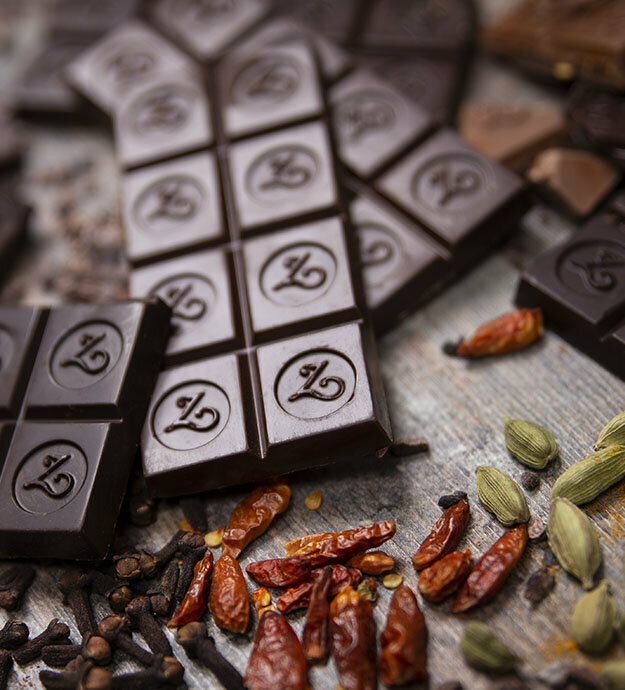 For our chocolates, we strive to create packaging that matches their origins and tastes. So they retain their unique character. 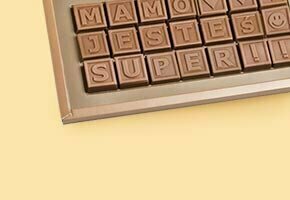 In each of our products, we add a menu describing the taste of chocolates so that you can choose the flavors according to your desires. Choose the best Chocolissimo chocolates. 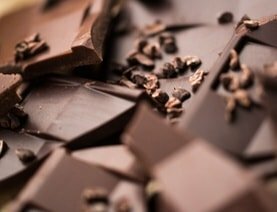 Become a gourmet chocolate! 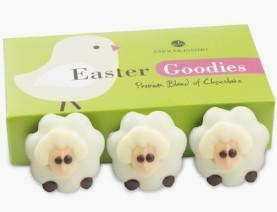 Our chocolates are perfect gifts for all occasions and an ideal remedy against all worries. In addition to a wide selection of ideas for your gifts, we give you the opportunity to customize our products. 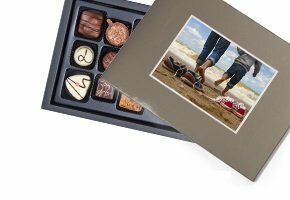 You can add your photos to our praline packaging, print chocolates for your wedding that will add pleasure to your guests, customizable sets in which you can choose your favorite chocolates. 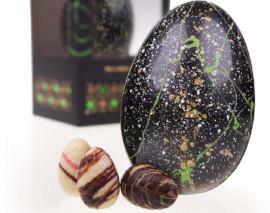 Our shop is the best chocolate shop online - online chocolate sales service and gift wrapping. - At home you can have your chocolate wrapped in gift wrap, wrapped in a beautiful ribbon, put in an elegant bag and add a greeting card. 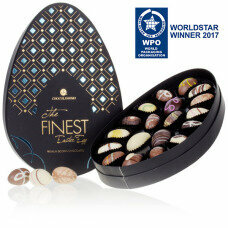 We do our best to make our online chocolate shop unrivaled in every way! 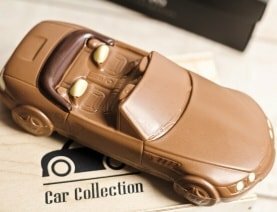 Chocolissimo chocolates are hand-made not only a good gift idea for your loved ones, but also a wide range of possibilities for companies looking for a good and original product for a promotional campaign or as a gift for their employees. or trading partners. 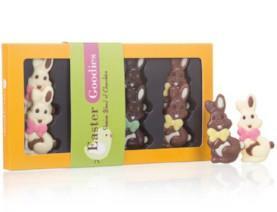 We have a wide range of ideas already ready for your Christmas or Easter gifts. 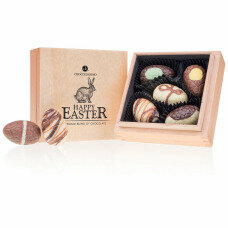 We can print your company logo on our chocolates, customize packaging and ribbons. 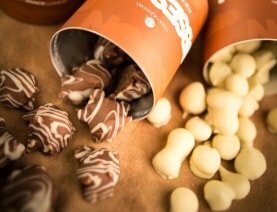 We can adapt their shapes and tastes to your desires - Our chocolates have no limits. Contact our service dedicated to companies, they will prepare a quote corresponding to your needs.